Happy Memorial Day! Blondie and I are both taking a much needed vacation. We hope you're having a restful day as well. 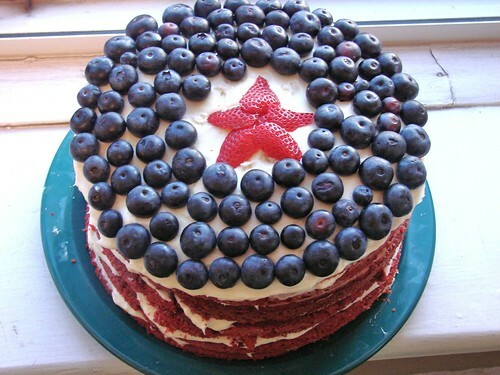 If you're looking for some last minute picnic dessert inspiration, check out our Stars and Stripes Seven Layer Cake. We'll be back with much more deliciousness tomorrow, but in the meantime, in honor of Memorial Day, take a moment to remember those who serve and have served our country. And to my own Aunt Pookie: Happy Birthday! Sending you a virtual slice of pie! LetMeEatCake Eat With Me! : thanks! love your blog name!